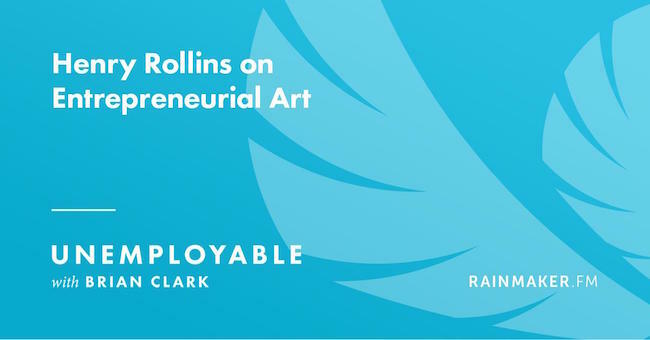 Music legend and entrepreneur Henry Rollins joins Brian Clark on Unemployable to discuss how his career (including his role as frontman of Black Flag) has thrived due to a DIY-producer ethic, why he formed his own publishing company, and how he became a self-made media personality. There’s a lot of other great content on the network these days, so be sure to check out the rest of the shows highlighted in this week’s edition of Rainmaker Rewind. The Digital Entrepreneur. Brian Clark and Jerod Morris explain how you should be using social media to connect with your audience: Does Your Social Media Strategy Need a Mindset Shift? If you want to get my Rainmaker Rewind picks of the week sent straight to your favorite podcast player, subscribe right here on Rainmaker FM.